Brag Photo: 2011 Goodwin Champions ‘Museum Collection Relics’ Arrive! 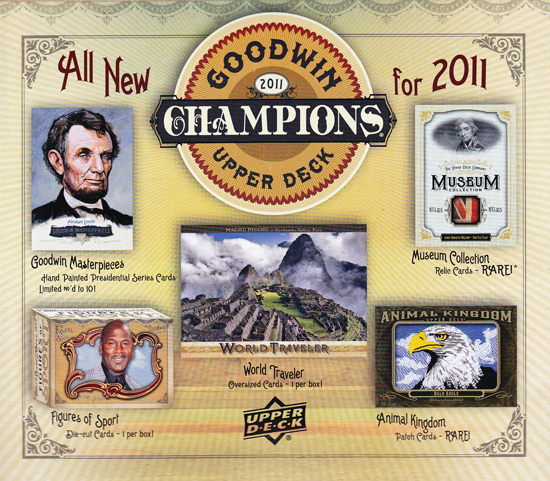 Collectors can find some really remarkable collectibles in 2011 Goodwin Champions packs that are available in stores now! Redemption exchange cards for these rare relics have been selling for hundreds of dollars in the secondary market. 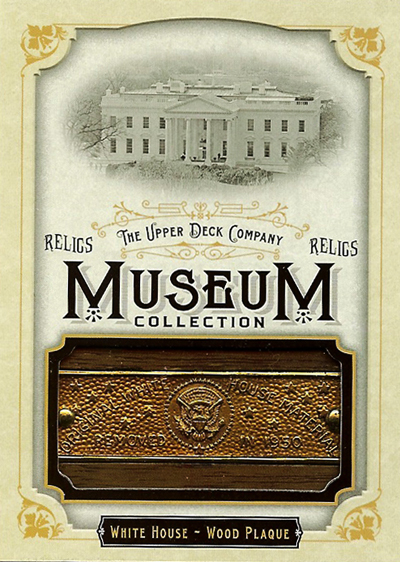 This one of a kind piece from the White House renovation includes gold plaque that fits perfectly into the relic portion of the card. Really superb looking cards well done Upper Deck! Anyone know how many of each Museum Collections there are besides the 1 of 1’s?